I, for one, don’t need to see another mini candy bar for quite some time. However, I hate throwing food away (which makes parenting around mealtimes interesting when M declares himself full after four bites). So instead of dumping our excess candy, I’m repurposing it into a Thanksgiving dessert that is equal parts adorable and delicious. 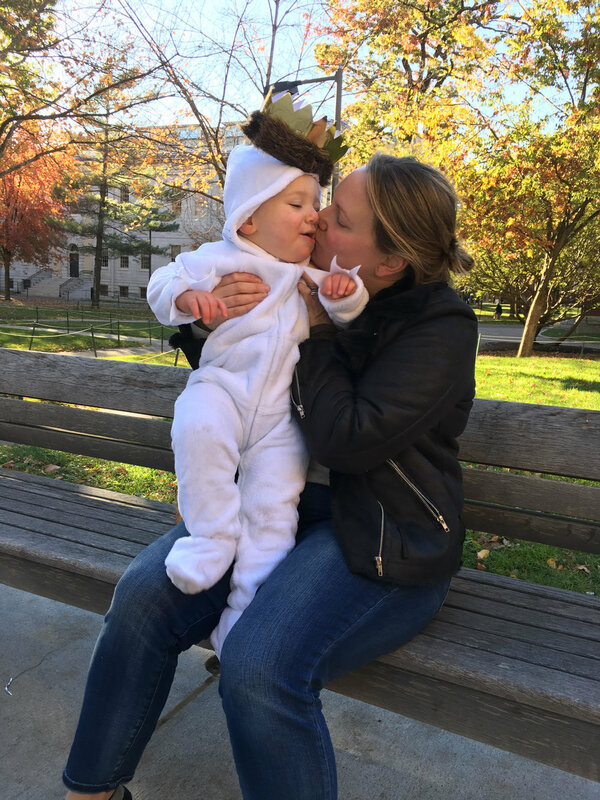 Bonus: I promise you will live in the freezer, untouched, until Thanksgiving, which would certainly not happen if that candy stayed in its original form. Ice cream and candy for dessert might seem odd after a heavy meal, but let me tell you: We had a store-bought version of this plate last year (from the UConn Dairy Bar) and my family tore through it like we hadn’t just eaten our weight in stuffing. 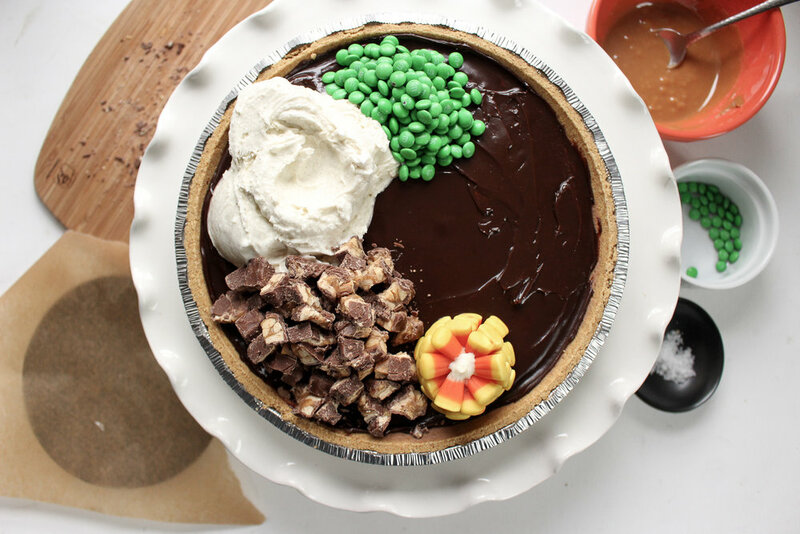 My version of this pie starts with a layer of salted caramel topped with chocolate chip ice cream and then hot fudge sauce. I chopped up some mini Snickers for stuffing; green M&Ms are peas; vanilla ice cream covered in crushed toffee bars with a white chocolate, pretzel, and marshmallow “bone” become a turkey drumstick; vanilla ice cream with more caramel are mashed potatoes and gravy; raspberry sorbet is sliced to look like canned cranberry sauce; and candy corn is stuck together with white chocolate as a corn cob. 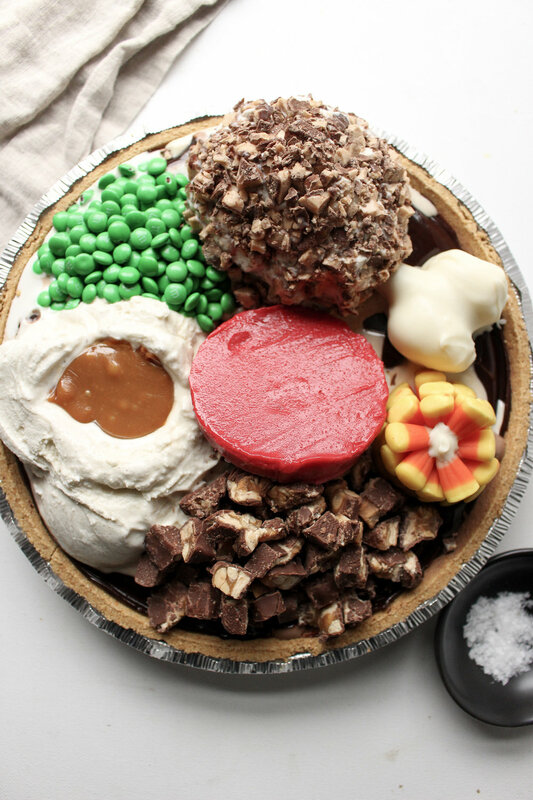 Extra bonus: There are many ways for kiddos to help make this pie: They can separate the green M&Ms, chop and smash the candy, unwrap the caramels, and pour and spread the caramel and ice cream layers. If they’re older, they could probably make the whole darn thing themselves. And extra extra bonus: You can make this dessert now and be ready for Turkey day in three weeks. Combine 8 oz of unwrapped caramel candy with 2 Tbsp heavy cream in a bowl and microwave for 30 seconds. Mix and microwave for 30 more seconds. Mix again. Microwave for 15 seconds bursts, stopping to mix the caramel and milk, until it’s completely melted. Spread over the graham cracker crust, sprinkle with sea salt and place in the freezer until set, about 10 minutes. Let the chocolate ice cream melt a bit for easier spreading. I left it out while I made and spread the caramel and it was soft enough to spread. Freeze until solid, about 2 hours or overnight. Melt your white chocolate in a tall thinnish glass. Microwave for 30 seconds on high. Stop and mix. Microwave for another 30 seconds on high. Stop and mix. Microwave for 10 second bursts, stopping to mix until the chocolate is melted. Snap a large pretzel rod in half. Cut a large marshmallow in half. Dip the non-broken end of the pretzel rod into melted white chocolate and press one half of the marshmallow on either side of the rod and hold in place for 10 seconds. 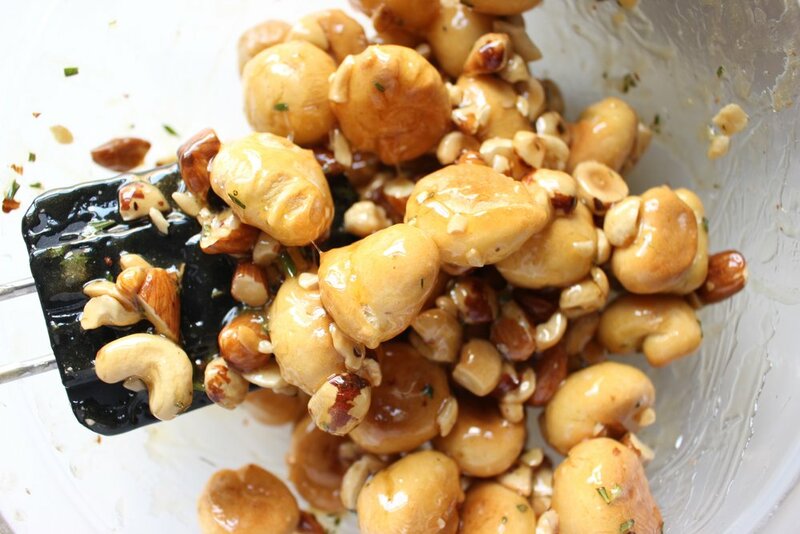 Place on a sheet of parchment paper and refridgerate until set, about 5 minutes. Pour a nickle-sized dollop of melted white chocolate on a piece of parchment paper. 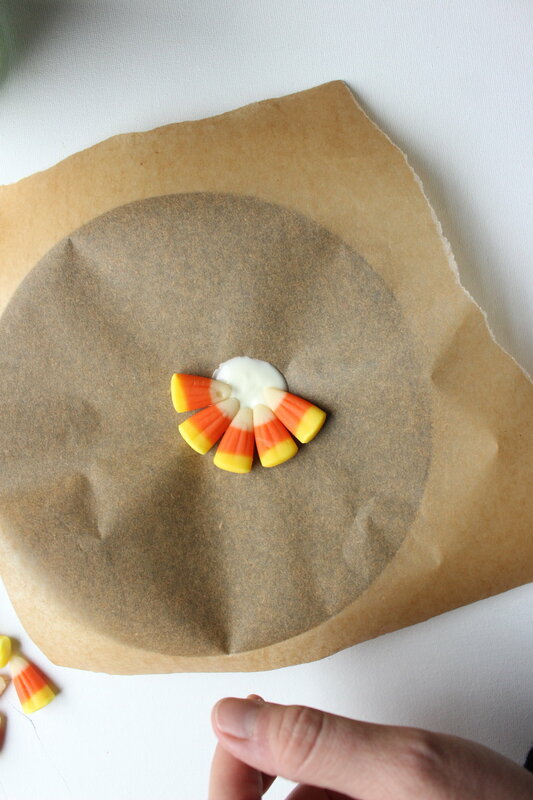 Place a circle of candy corn onto the chocolate with the white facing in and the yellow facing out. Try not to allow any space between the kernels. place another dollop of melted white chocolate on top of the white portion of candy and repeat. Continue until you have between 5 and 7 layers of corn kernels. Place in the fridge until set, about 10 minutes. Dip the set marshmallow and pretzel rod into the melted white chocolate (feel free to microwave for another 10 seconds if the chocolate feels thick) and let the excess chocolate drip off. Place back onto the parchment paper and spoon the melted chocolate over the rest of the pretzel rod, wiping away any excess on the sides. Place back in the refrigerator until set, about 10 minutes. Chop the snickers, separate the green M&Ms, and crush the toffee. Slice the sorbet with a large serrated knife and put the slices back into the freezer. 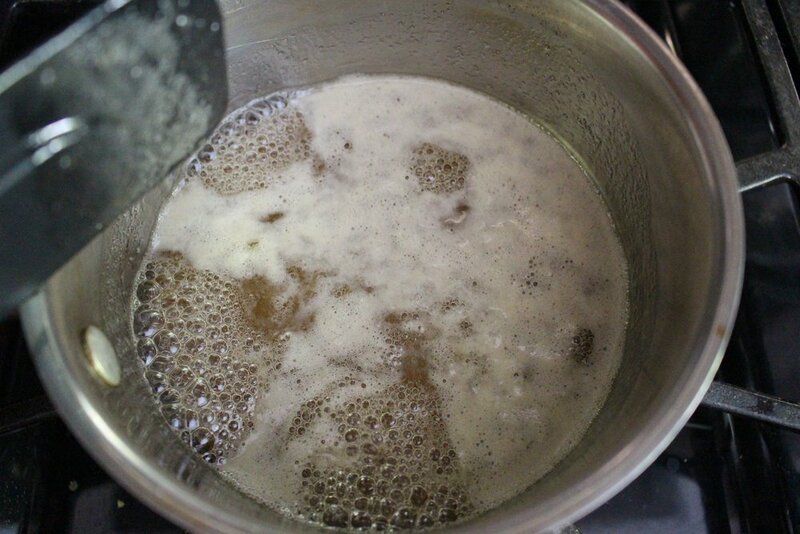 Place 4 oz of unwrapped caramel candy and 1 Tbsp of heavy cream into a bowl. Microwave for 30 seconds. Stop and mix. Microwave for another 30 seconds, stop, and mix. Microwave in 15 second bursts, stopping to mix in between, until melted. Set aside. Scoop 1/2 pint of vanilla ice cream onto the top of pie. Next to it, pour your M&Ms into a pile. Smoosh the cut up snickers in your hands a bit while piling them onto the top of the pie as well. Add the corn cob. Next, form the rest of the ice cream into an oval ball and roll it in the crushed toffee. Place it on the pie and add the pretzel bone. Place the sorbet slice in the middle. Lastly, using a spoon, shape the vanilla ice cream to look like mashed potatoes and make a dent in the middle. Pour some of the cooled caramel into the hole and immediately place the whole pie back into the freezer. Let freeze overnight and then transfer to a box or cover tightly with plastic wrap. You may find the idea of turning on the oven insulting given that the weather is so unbelievably hot and humid. But hear me out: This cake requires one bowl and less than 30 minutes in the oven. AND is chock-a-block with sweet, tangy, summery flavor. 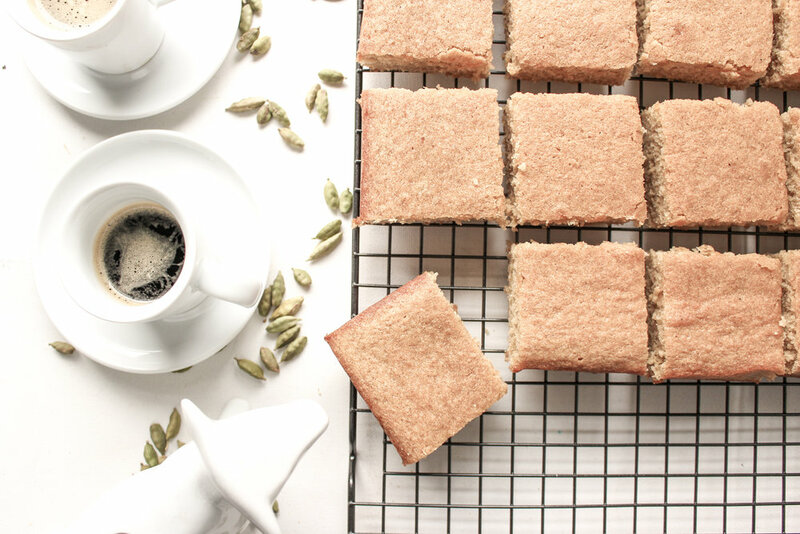 A weeknight cake if there ever was one. One of my favorite things about finally having a yard is growing our own herbs. And we can't keep up with how fast the basil grows. It's a good thing I L.O.V.E. pesto. 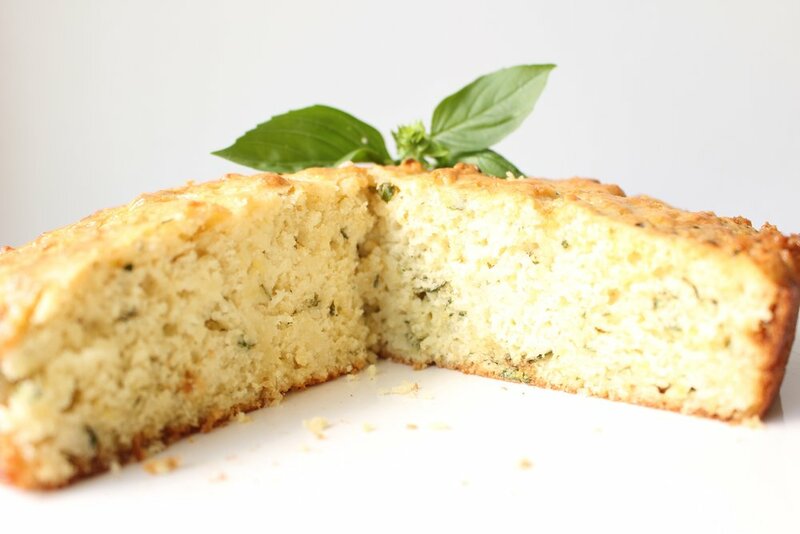 And we've definitely been throwing a handful of basil into just about everything, including our cakes. 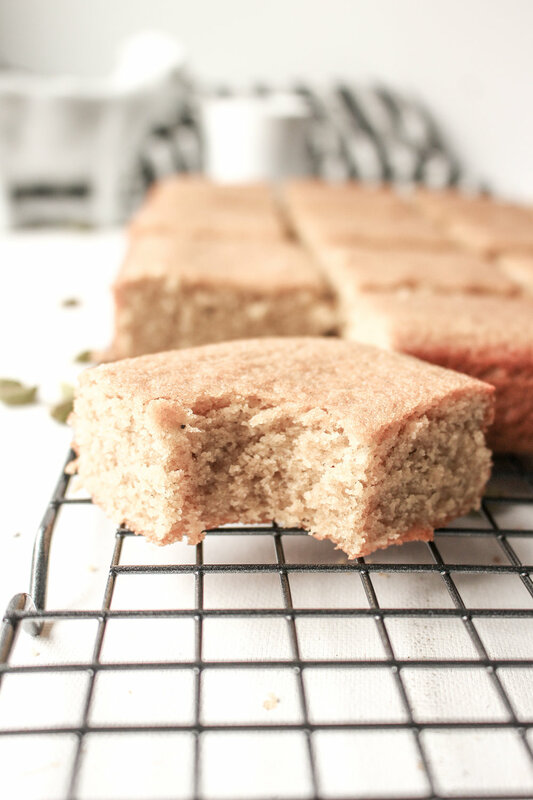 I didn't healthify this recipe at all; It's full of white flour and sugar. I did use the smallest amount of sugar possible in the batter to have a sweet cake without it being cloyingly so. Not for nothing, there's another 3/4 cup of confectioner's sugar in the glaze, so this baby doesn't want for sweetness. It took some tinkering to figure out the right amounts of basil and lemon to impart a strong flavor without turning the cake bitter (too much basil) or sour (too much lemon). In the end, the basil is a background herby note that plays really well with the bright lemon flavor. And ricotta! 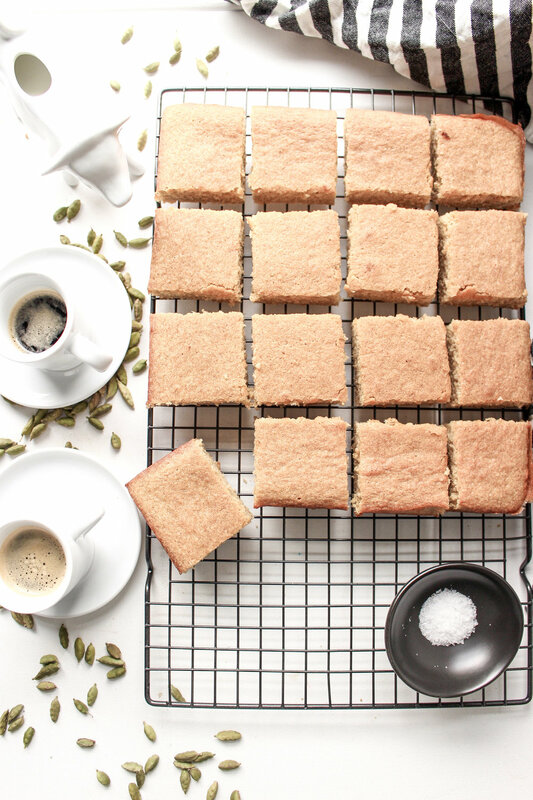 I adapted this recipe from the famous French yogurt cake and the textures are very similar. I think the ricotta makes the cake ever-so-slightly more dense and a little more savory. A quick note: Be sure not to overcook the cake. It will cool completely in the pan, which means it'll keep cooking a bit while it cools. Check the cake at the shortest time listed, even if your oven doesn't run particularly hot. Preheat the oven to 350. Lightly oil a 9-inch cake pan and set aside. In a large bowl, combine the eggs, ricotta, sugar, olive oil, vanilla, lemon zest, and basil and mix well. 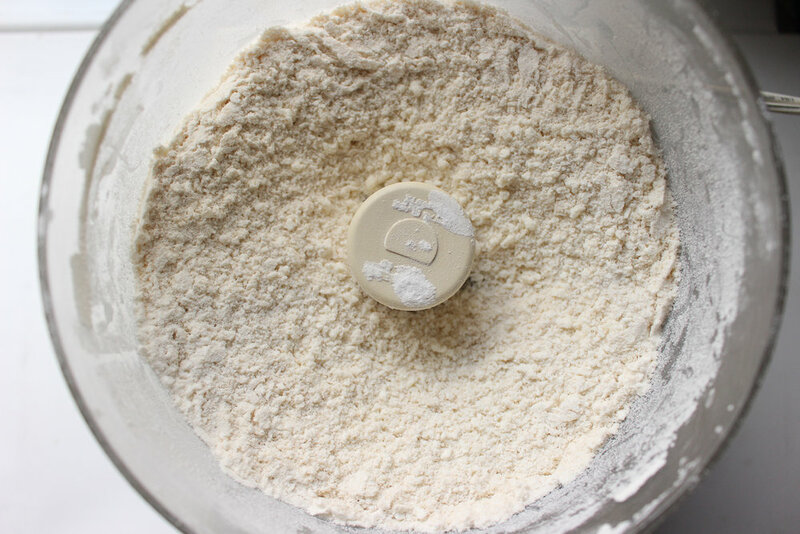 Add the dry ingredients and mix just until the wet and dry components are combined and no clumps of flour remain. The batter will be very thick. While the cake is cooling, make the glaze. 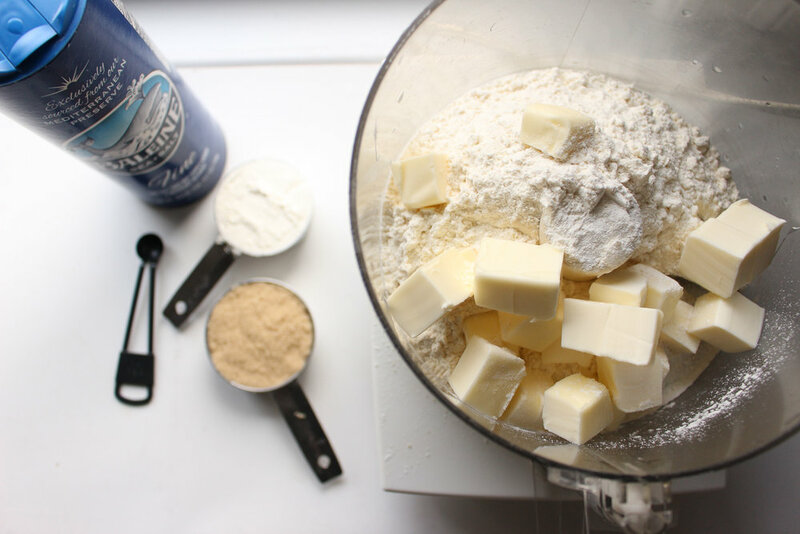 Add the confectioner’s sugar to a medium bowl and slowly pour in the lemon juice, whisking constantly, until you’ve reached your desired consistency (a thin glaze soaks into the cake better, so use your judgment) . 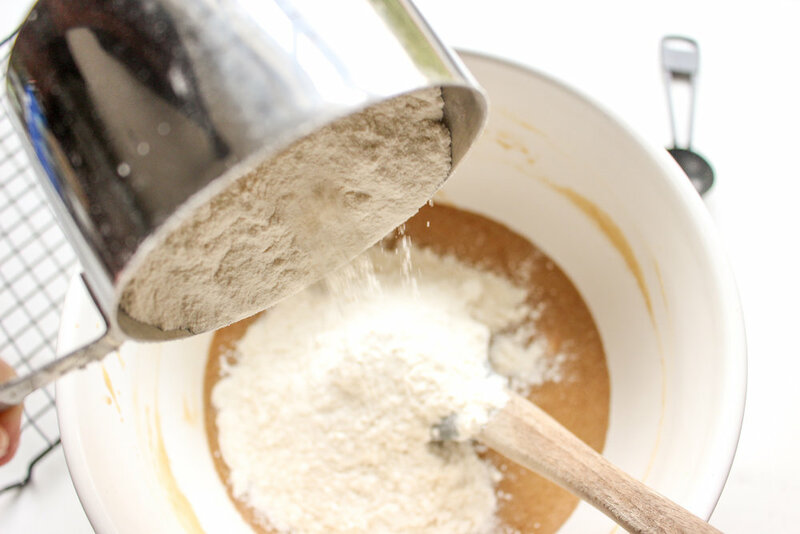 Once the cake is slightly cooled, pour your glaze over the entire top, making sure that the liquid goes into the holes. I sometimes use a brush to coax the glaze into the holes, but this isn't strictly necessary. Let cool completely in its baking dish.